We wish to recall a basic principle which is too often misunderstood or sometimes inappropriately explained in astrological books meant for the general public. The rising sign, i.e. 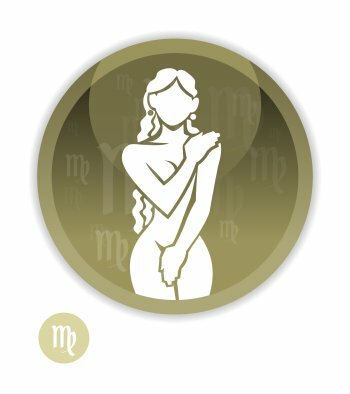 the sign which crosses the eastern horizon at the moment of birth, is a major element of the natal chart because it describes our general behaviour and our outward appearance and indicates how people perceive us when they meet us for the first time. It is important to grasp the difference between the Ascendant sign and the Sun sign, i.e., the sign in which the Sun is posited at the moment of birth. Unlike the Ascendant, the Sun sign refers to the deepest part of us which is more genuine but less accessible because it is meant for our friends and relatives only. Both the Ascendant and the Sun represent our vitality and our health, along with the Moon, the planets in the 1st, 6th, and 8th houses, and their rulers. However, the Ascendant is more physical and instinctive than the Sun. The usual belief is that the Ascendant refers to the appearance and "to seem", whereas the Sun stands for what is hidden and "to be", and it is by no means a far-fetched oversimplification. In this article, we describe the pure typologies produced by the association of the zodiacal signs in which the Sun and the Ascendant are posited. There are 144 possible combinations all in all. We insist on the fact that we provide simplified and pure meanings. Why pure? Because a natal chart is much more than the Sun and the Ascendant, or the blending of these two main features. A natal chart encompasses the whole sum of numerous complex combinations such as planets in sign, houses in sign, astrological aspects between planets and angles, house rulership, and many other factors that must be carefully taken into account. But the combination of the sign and the Ascendant represents a third or more of the interpretation of a natal chart, this is why it is in all cases very important. On Astrotheme, you can immediately get the zodiacal sign of your Ascendant and your sign. Discover now below the 144 sign and Ascendant combinations with their meaning. You can also get many examples of charts with these combinations with our advanced multicriteria search tool. You will find below the meaning of the 12 Ascendants of Aries. Your Ascendant sign is Aries, which means that, at first glance, people feel the influence of Aries on your outward appearance. Discover the meaning of the Aries Ascendant Aries combination in your horoscope. Your Ascendant sign is Taurus, which means that, at first glance, people feel the influence of Taurus on your outward appearance. It may be different from your inner self, which defined by your Sun sign. Discover the meaning of the Aries Ascendant Taurus combination in your horoscope. Your Ascendant sign is Gemini, which means that, at first glance, people feel the influence of Gemini on your outward appearance. It may be different from your inner self, which defined by your Sun sign. Discover the meaning of the Aries Ascendant Gemini combination in your horoscope. Your Ascendant sign is Cancer, which means that, at first glance, people feel the influence of Cancer on your outward appearance. It may be different from your inner self, which defined by your Sun sign. 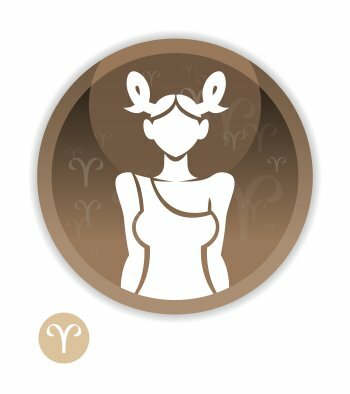 Discover the meaning of the Aries Ascendant Cancer combination in your horoscope. Your Ascendant sign is Leo, which means that, at first glance, people feel the influence of Leo on your outward appearance. It may be different from your inner self, which defined by your Sun sign. Discover the meaning of the Aries Ascendant Leo combination in your horoscope. Your Ascendant sign is Virgo, which means that, at first glance, people feel the influence of Virgo on your outward appearance. It may be different from your inner self, which defined by your Sun sign. 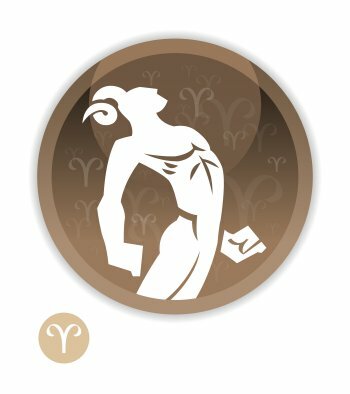 Discover the meaning of the Aries Ascendant Virgo combination in your horoscope. Your Ascendant sign is Libra, which means that, at first glance, people feel the influence of Libra on your outward appearance. It may be different from your inner self, which defined by your Sun sign. Discover the meaning of the Aries Ascendant Libra combination in your horoscope. Your Ascendant sign is Scorpio, which means that, at first glance, people feel the influence of Scorpio on your outward appearance. It may be different from your inner self, which defined by your Sun sign. Discover the meaning of the Aries Ascendant Scorpio combination in your horoscope. Your Ascendant sign is Sagittarius, which means that, at first glance, people feel the influence of Sagittarius on your outward appearance. It may be different from your inner self, which defined by your Sun sign. Discover the meaning of the Aries Ascendant Sagittarius combination in your horoscope. Your Ascendant sign is Capricorn, which means that, at first glance, people feel the influence of Capricorn on your outward appearance. It may be different from your inner self, which defined by your Sun sign. Discover the meaning of the Aries Ascendant Capricorn combination in your horoscope. Your Ascendant sign is Aquarius, which means that, at first glance, people feel the influence of Aquarius on your outward appearance. It may be different from your inner self, which defined by your Sun sign. Discover the meaning of the Aries Ascendant Aquarius combination in your horoscope. 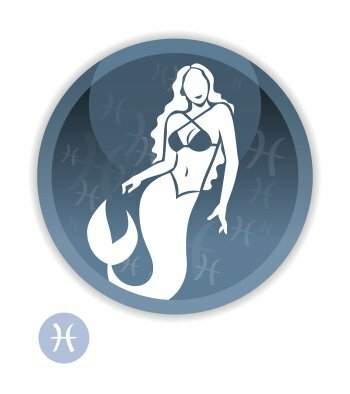 Your Ascendant sign is Pisces, which means that, at first glance, people feel the influence of Pisces on your outward appearance. It may be different from your inner self, which defined by your Sun sign. Discover the meaning of the Aries Ascendant Pisces combination in your horoscope. You will find below the meaning of the 12 Ascendants of Taurus. Your Ascendant sign is Aries, which means that, at first glance, people feel the influence of Aries on your outward appearance. It may be different from your inner self, which defined by your Sun sign. Discover the meaning of the Taurus Ascendant Aries combination in your horoscope. Your Ascendant sign is Taurus, which means that, at first glance, people feel the influence of Taurus on your outward appearance. Discover the meaning of the Taurus Ascendant Taurus combination in your horoscope. Your Ascendant sign is Gemini, which means that, at first glance, people feel the influence of Gemini on your outward appearance. It may be different from your inner self, which defined by your Sun sign. Discover the meaning of the Taurus Ascendant Gemini combination in your horoscope. Your Ascendant sign is Cancer, which means that, at first glance, people feel the influence of Cancer on your outward appearance. It may be different from your inner self, which defined by your Sun sign. 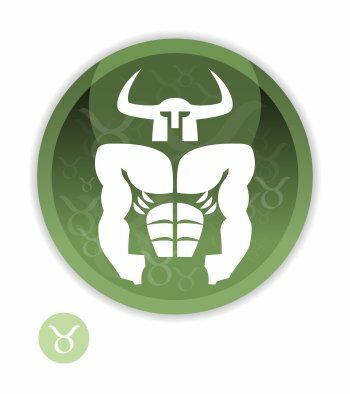 Discover the meaning of the Taurus Ascendant Cancer combination in your horoscope. Your Ascendant sign is Leo, which means that, at first glance, people feel the influence of Leo on your outward appearance. It may be different from your inner self, which defined by your Sun sign. Discover the meaning of the Taurus Ascendant Leo combination in your horoscope. Your Ascendant sign is Virgo, which means that, at first glance, people feel the influence of Virgo on your outward appearance. It may be different from your inner self, which defined by your Sun sign. Discover the meaning of the Taurus Ascendant Virgo combination in your horoscope. Your Ascendant sign is Libra, which means that, at first glance, people feel the influence of Libra on your outward appearance. It may be different from your inner self, which defined by your Sun sign. Discover the meaning of the Taurus Ascendant Libra combination in your horoscope. Your Ascendant sign is Scorpio, which means that, at first glance, people feel the influence of Scorpio on your outward appearance. It may be different from your inner self, which defined by your Sun sign. Discover the meaning of the Taurus Ascendant Scorpio combination in your horoscope. Your Ascendant sign is Sagittarius, which means that, at first glance, people feel the influence of Sagittarius on your outward appearance. It may be different from your inner self, which defined by your Sun sign. Discover the meaning of the Taurus Ascendant Sagittarius combination in your horoscope. Your Ascendant sign is Capricorn, which means that, at first glance, people feel the influence of Capricorn on your outward appearance. It may be different from your inner self, which defined by your Sun sign. Discover the meaning of the Taurus Ascendant Capricorn combination in your horoscope. Your Ascendant sign is Aquarius, which means that, at first glance, people feel the influence of Aquarius on your outward appearance. It may be different from your inner self, which defined by your Sun sign. Discover the meaning of the Taurus Ascendant Aquarius combination in your horoscope. Your Ascendant sign is Pisces, which means that, at first glance, people feel the influence of Pisces on your outward appearance. It may be different from your inner self, which defined by your Sun sign. Discover the meaning of the Taurus Ascendant Pisces combination in your horoscope. Your Sun sign is Gemini, which means that it is only when people know you well that your Gemini traits become obvious. They may be different from your outward appearance, which is influenced by your Ascendant sign. You will find below the meaning of the 12 Ascendants of Gemini. Your Ascendant sign is Aries, which means that, at first glance, people feel the influence of Aries on your outward appearance. It may be different from your inner self, which defined by your Sun sign. Discover the meaning of the Gemini Ascendant Aries combination in your horoscope. Your Ascendant sign is Taurus, which means that, at first glance, people feel the influence of Taurus on your outward appearance. It may be different from your inner self, which defined by your Sun sign. Discover the meaning of the Gemini Ascendant Taurus combination in your horoscope. Your Ascendant sign is Gemini, which means that, at first glance, people feel the influence of Gemini on your outward appearance. Discover the meaning of the Gemini Ascendant Gemini combination in your horoscope. Your Ascendant sign is Cancer, which means that, at first glance, people feel the influence of Cancer on your outward appearance. It may be different from your inner self, which defined by your Sun sign. Discover the meaning of the Gemini Ascendant Cancer combination in your horoscope. Your Ascendant sign is Leo, which means that, at first glance, people feel the influence of Leo on your outward appearance. It may be different from your inner self, which defined by your Sun sign. Discover the meaning of the Gemini Ascendant Leo combination in your horoscope. Your Ascendant sign is Virgo, which means that, at first glance, people feel the influence of Virgo on your outward appearance. It may be different from your inner self, which defined by your Sun sign. Discover the meaning of the Gemini Ascendant Virgo combination in your horoscope. Your Ascendant sign is Libra, which means that, at first glance, people feel the influence of Libra on your outward appearance. It may be different from your inner self, which defined by your Sun sign. Discover the meaning of the Gemini Ascendant Libra combination in your horoscope. Your Ascendant sign is Scorpio, which means that, at first glance, people feel the influence of Scorpio on your outward appearance. It may be different from your inner self, which defined by your Sun sign. 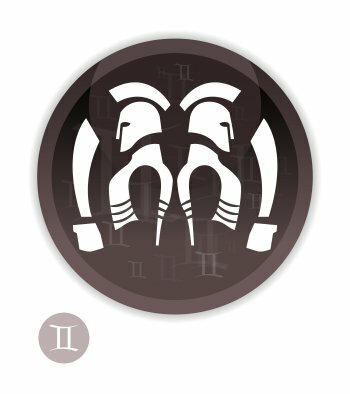 Discover the meaning of the Gemini Ascendant Scorpio combination in your horoscope. Your Ascendant sign is Sagittarius, which means that, at first glance, people feel the influence of Sagittarius on your outward appearance. It may be different from your inner self, which defined by your Sun sign. Discover the meaning of the Gemini Ascendant Sagittarius combination in your horoscope. Your Ascendant sign is Capricorn, which means that, at first glance, people feel the influence of Capricorn on your outward appearance. It may be different from your inner self, which defined by your Sun sign. Discover the meaning of the Gemini Ascendant Capricorn combination in your horoscope. Your Ascendant sign is Aquarius, which means that, at first glance, people feel the influence of Aquarius on your outward appearance. It may be different from your inner self, which defined by your Sun sign. Discover the meaning of the Gemini Ascendant Aquarius combination in your horoscope. Your Ascendant sign is Pisces, which means that, at first glance, people feel the influence of Pisces on your outward appearance. It may be different from your inner self, which defined by your Sun sign. Discover the meaning of the Gemini Ascendant Pisces combination in your horoscope. Your Sun sign is Cancer, which means that it is only when people know you well that your Cancer traits become obvious. They may be different from your outward appearance, which is influenced by your Ascendant sign. You will find below the meaning of the 12 Ascendants of Cancer. Your Ascendant sign is Aries, which means that, at first glance, people feel the influence of Aries on your outward appearance. It may be different from your inner self, which defined by your Sun sign. Discover the meaning of the Cancer Ascendant Aries combination in your horoscope. Your Ascendant sign is Taurus, which means that, at first glance, people feel the influence of Taurus on your outward appearance. It may be different from your inner self, which defined by your Sun sign. Discover the meaning of the Cancer Ascendant Taurus combination in your horoscope. Your Ascendant sign is Gemini, which means that, at first glance, people feel the influence of Gemini on your outward appearance. It may be different from your inner self, which defined by your Sun sign. Discover the meaning of the Cancer Ascendant Gemini combination in your horoscope. Your Ascendant sign is Cancer, which means that, at first glance, people feel the influence of Cancer on your outward appearance. Discover the meaning of the Cancer Ascendant Cancer combination in your horoscope. Your Ascendant sign is Leo, which means that, at first glance, people feel the influence of Leo on your outward appearance. It may be different from your inner self, which defined by your Sun sign. Discover the meaning of the Cancer Ascendant Leo combination in your horoscope. Your Ascendant sign is Virgo, which means that, at first glance, people feel the influence of Virgo on your outward appearance. It may be different from your inner self, which defined by your Sun sign. Discover the meaning of the Cancer Ascendant Virgo combination in your horoscope. Your Ascendant sign is Libra, which means that, at first glance, people feel the influence of Libra on your outward appearance. It may be different from your inner self, which defined by your Sun sign. Discover the meaning of the Cancer Ascendant Libra combination in your horoscope. Your Ascendant sign is Scorpio, which means that, at first glance, people feel the influence of Scorpio on your outward appearance. It may be different from your inner self, which defined by your Sun sign. 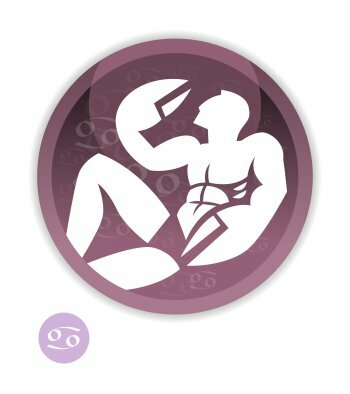 Discover the meaning of the Cancer Ascendant Scorpio combination in your horoscope. Your Ascendant sign is Sagittarius, which means that, at first glance, people feel the influence of Sagittarius on your outward appearance. It may be different from your inner self, which defined by your Sun sign. 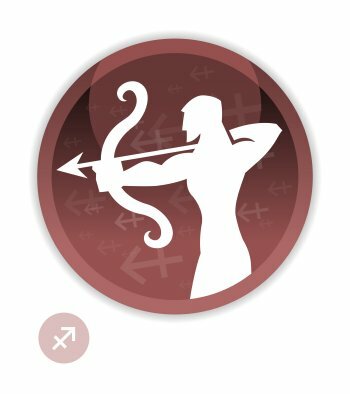 Discover the meaning of the Cancer Ascendant Sagittarius combination in your horoscope. Your Ascendant sign is Capricorn, which means that, at first glance, people feel the influence of Capricorn on your outward appearance. It may be different from your inner self, which defined by your Sun sign. Discover the meaning of the Cancer Ascendant Capricorn combination in your horoscope. Your Ascendant sign is Aquarius, which means that, at first glance, people feel the influence of Aquarius on your outward appearance. It may be different from your inner self, which defined by your Sun sign. Discover the meaning of the Cancer Ascendant Aquarius combination in your horoscope. Your Ascendant sign is Pisces, which means that, at first glance, people feel the influence of Pisces on your outward appearance. It may be different from your inner self, which defined by your Sun sign. Discover the meaning of the Cancer Ascendant Pisces combination in your horoscope. You will find below the meaning of the 12 Ascendants of Leo. Your Ascendant sign is Aries, which means that, at first glance, people feel the influence of Aries on your outward appearance. It may be different from your inner self, which defined by your Sun sign. 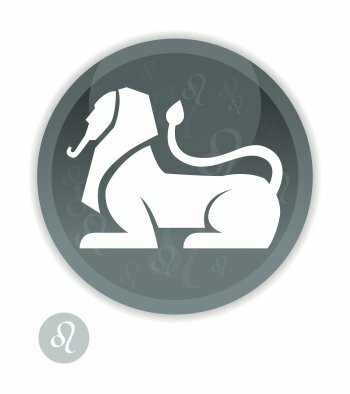 Discover the meaning of the Leo Ascendant Aries combination in your horoscope. Your Ascendant sign is Taurus, which means that, at first glance, people feel the influence of Taurus on your outward appearance. It may be different from your inner self, which defined by your Sun sign. Discover the meaning of the Leo Ascendant Taurus combination in your horoscope. Your Ascendant sign is Gemini, which means that, at first glance, people feel the influence of Gemini on your outward appearance. It may be different from your inner self, which defined by your Sun sign. Discover the meaning of the Leo Ascendant Gemini combination in your horoscope. Your Ascendant sign is Cancer, which means that, at first glance, people feel the influence of Cancer on your outward appearance. It may be different from your inner self, which defined by your Sun sign. Discover the meaning of the Leo Ascendant Cancer combination in your horoscope. Your Ascendant sign is Leo, which means that, at first glance, people feel the influence of Leo on your outward appearance. Discover the meaning of the Leo Ascendant Leo combination in your horoscope. Your Ascendant sign is Virgo, which means that, at first glance, people feel the influence of Virgo on your outward appearance. It may be different from your inner self, which defined by your Sun sign. Discover the meaning of the Leo Ascendant Virgo combination in your horoscope. Your Ascendant sign is Libra, which means that, at first glance, people feel the influence of Libra on your outward appearance. It may be different from your inner self, which defined by your Sun sign. 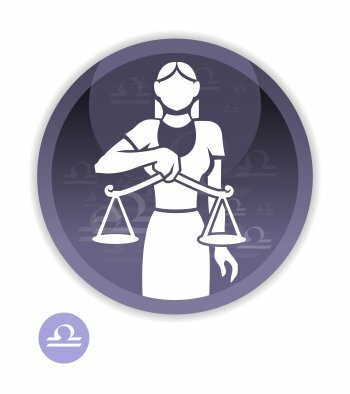 Discover the meaning of the Leo Ascendant Libra combination in your horoscope. Your Ascendant sign is Scorpio, which means that, at first glance, people feel the influence of Scorpio on your outward appearance. It may be different from your inner self, which defined by your Sun sign. Discover the meaning of the Leo Ascendant Scorpio combination in your horoscope. Your Ascendant sign is Sagittarius, which means that, at first glance, people feel the influence of Sagittarius on your outward appearance. It may be different from your inner self, which defined by your Sun sign. Discover the meaning of the Leo Ascendant Sagittarius combination in your horoscope. Your Ascendant sign is Capricorn, which means that, at first glance, people feel the influence of Capricorn on your outward appearance. It may be different from your inner self, which defined by your Sun sign. Discover the meaning of the Leo Ascendant Capricorn combination in your horoscope. Your Ascendant sign is Aquarius, which means that, at first glance, people feel the influence of Aquarius on your outward appearance. It may be different from your inner self, which defined by your Sun sign. Discover the meaning of the Leo Ascendant Aquarius combination in your horoscope. Your Ascendant sign is Pisces, which means that, at first glance, people feel the influence of Pisces on your outward appearance. It may be different from your inner self, which defined by your Sun sign. Discover the meaning of the Leo Ascendant Pisces combination in your horoscope. Your Sun sign is Virgo, which means that it is only when people know you well that your Virgo traits become obvious. They may be different from your outward appearance, which is influenced by your Ascendant sign. You will find below the meaning of the 12 Ascendants of Virgo. Your Ascendant sign is Aries, which means that, at first glance, people feel the influence of Aries on your outward appearance. It may be different from your inner self, which defined by your Sun sign. Discover the meaning of the Virgo Ascendant Aries combination in your horoscope. Your Ascendant sign is Taurus, which means that, at first glance, people feel the influence of Taurus on your outward appearance. It may be different from your inner self, which defined by your Sun sign. Discover the meaning of the Virgo Ascendant Taurus combination in your horoscope. Your Ascendant sign is Gemini, which means that, at first glance, people feel the influence of Gemini on your outward appearance. It may be different from your inner self, which defined by your Sun sign. Discover the meaning of the Virgo Ascendant Gemini combination in your horoscope. Your Ascendant sign is Cancer, which means that, at first glance, people feel the influence of Cancer on your outward appearance. It may be different from your inner self, which defined by your Sun sign. Discover the meaning of the Virgo Ascendant Cancer combination in your horoscope. Your Ascendant sign is Leo, which means that, at first glance, people feel the influence of Leo on your outward appearance. It may be different from your inner self, which defined by your Sun sign. Discover the meaning of the Virgo Ascendant Leo combination in your horoscope. Your Ascendant sign is Virgo, which means that, at first glance, people feel the influence of Virgo on your outward appearance. 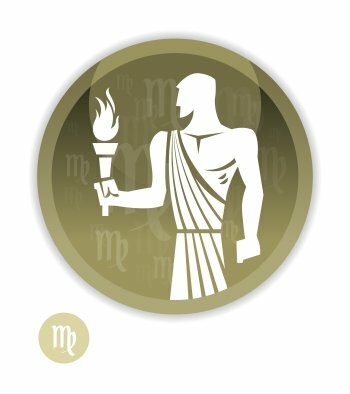 Discover the meaning of the Virgo Ascendant Virgo combination in your horoscope. Your Ascendant sign is Libra, which means that, at first glance, people feel the influence of Libra on your outward appearance. It may be different from your inner self, which defined by your Sun sign. Discover the meaning of the Virgo Ascendant Libra combination in your horoscope. Your Ascendant sign is Scorpio, which means that, at first glance, people feel the influence of Scorpio on your outward appearance. It may be different from your inner self, which defined by your Sun sign. 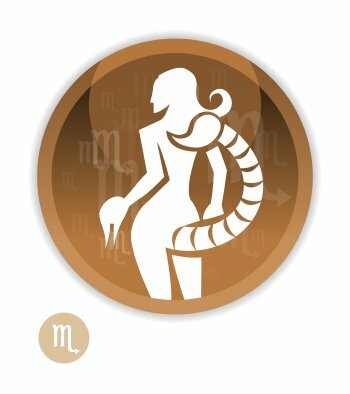 Discover the meaning of the Virgo Ascendant Scorpio combination in your horoscope. Your Ascendant sign is Sagittarius, which means that, at first glance, people feel the influence of Sagittarius on your outward appearance. It may be different from your inner self, which defined by your Sun sign. Discover the meaning of the Virgo Ascendant Sagittarius combination in your horoscope. Your Ascendant sign is Capricorn, which means that, at first glance, people feel the influence of Capricorn on your outward appearance. It may be different from your inner self, which defined by your Sun sign. Discover the meaning of the Virgo Ascendant Capricorn combination in your horoscope. Your Ascendant sign is Aquarius, which means that, at first glance, people feel the influence of Aquarius on your outward appearance. It may be different from your inner self, which defined by your Sun sign. Discover the meaning of the Virgo Ascendant Aquarius combination in your horoscope. Your Ascendant sign is Pisces, which means that, at first glance, people feel the influence of Pisces on your outward appearance. It may be different from your inner self, which defined by your Sun sign. Discover the meaning of the Virgo Ascendant Pisces combination in your horoscope. Your Sun sign is Libra, which means that it is only when people know you well that your Libra traits become obvious. They may be different from your outward appearance, which is influenced by your Ascendant sign. You will find below the meaning of the 12 Ascendants of Libra. Your Ascendant sign is Aries, which means that, at first glance, people feel the influence of Aries on your outward appearance. It may be different from your inner self, which defined by your Sun sign. Discover the meaning of the Libra Ascendant Aries combination in your horoscope. Your Ascendant sign is Taurus, which means that, at first glance, people feel the influence of Taurus on your outward appearance. It may be different from your inner self, which defined by your Sun sign. Discover the meaning of the Libra Ascendant Taurus combination in your horoscope. Your Ascendant sign is Gemini, which means that, at first glance, people feel the influence of Gemini on your outward appearance. It may be different from your inner self, which defined by your Sun sign. 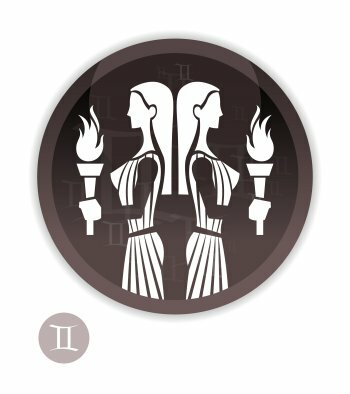 Discover the meaning of the Libra Ascendant Gemini combination in your horoscope. Your Ascendant sign is Cancer, which means that, at first glance, people feel the influence of Cancer on your outward appearance. It may be different from your inner self, which defined by your Sun sign. 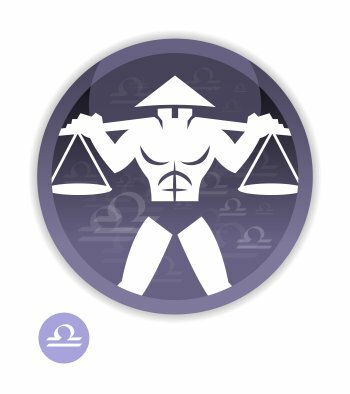 Discover the meaning of the Libra Ascendant Cancer combination in your horoscope. Your Ascendant sign is Leo, which means that, at first glance, people feel the influence of Leo on your outward appearance. It may be different from your inner self, which defined by your Sun sign. 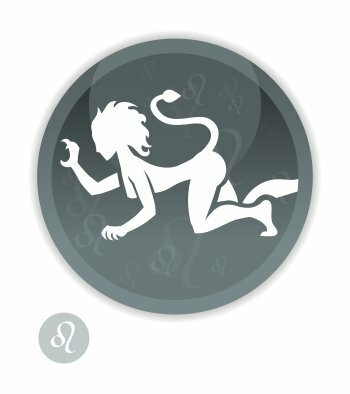 Discover the meaning of the Libra Ascendant Leo combination in your horoscope. Your Ascendant sign is Virgo, which means that, at first glance, people feel the influence of Virgo on your outward appearance. It may be different from your inner self, which defined by your Sun sign. Discover the meaning of the Libra Ascendant Virgo combination in your horoscope. Your Ascendant sign is Libra, which means that, at first glance, people feel the influence of Libra on your outward appearance. Discover the meaning of the Libra Ascendant Libra combination in your horoscope. Your Ascendant sign is Scorpio, which means that, at first glance, people feel the influence of Scorpio on your outward appearance. It may be different from your inner self, which defined by your Sun sign. Discover the meaning of the Libra Ascendant Scorpio combination in your horoscope. Your Ascendant sign is Sagittarius, which means that, at first glance, people feel the influence of Sagittarius on your outward appearance. It may be different from your inner self, which defined by your Sun sign. Discover the meaning of the Libra Ascendant Sagittarius combination in your horoscope. Your Ascendant sign is Capricorn, which means that, at first glance, people feel the influence of Capricorn on your outward appearance. It may be different from your inner self, which defined by your Sun sign. Discover the meaning of the Libra Ascendant Capricorn combination in your horoscope. Your Ascendant sign is Aquarius, which means that, at first glance, people feel the influence of Aquarius on your outward appearance. It may be different from your inner self, which defined by your Sun sign. Discover the meaning of the Libra Ascendant Aquarius combination in your horoscope. Your Ascendant sign is Pisces, which means that, at first glance, people feel the influence of Pisces on your outward appearance. It may be different from your inner self, which defined by your Sun sign. Discover the meaning of the Libra Ascendant Pisces combination in your horoscope. Your Sun sign is Scorpio, which means that it is only when people know you well that your Scorpio traits become obvious. They may be different from your outward appearance, which is influenced by your Ascendant sign. You will find below the meaning of the 12 Ascendants of Scorpio. Your Ascendant sign is Aries, which means that, at first glance, people feel the influence of Aries on your outward appearance. It may be different from your inner self, which defined by your Sun sign. Discover the meaning of the Scorpio Ascendant Aries combination in your horoscope. Your Ascendant sign is Taurus, which means that, at first glance, people feel the influence of Taurus on your outward appearance. It may be different from your inner self, which defined by your Sun sign. Discover the meaning of the Scorpio Ascendant Taurus combination in your horoscope. Your Ascendant sign is Gemini, which means that, at first glance, people feel the influence of Gemini on your outward appearance. It may be different from your inner self, which defined by your Sun sign. Discover the meaning of the Scorpio Ascendant Gemini combination in your horoscope. Your Ascendant sign is Cancer, which means that, at first glance, people feel the influence of Cancer on your outward appearance. It may be different from your inner self, which defined by your Sun sign. Discover the meaning of the Scorpio Ascendant Cancer combination in your horoscope. Your Ascendant sign is Leo, which means that, at first glance, people feel the influence of Leo on your outward appearance. It may be different from your inner self, which defined by your Sun sign. Discover the meaning of the Scorpio Ascendant Leo combination in your horoscope. Your Ascendant sign is Virgo, which means that, at first glance, people feel the influence of Virgo on your outward appearance. It may be different from your inner self, which defined by your Sun sign. 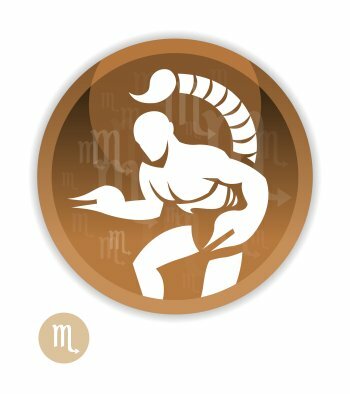 Discover the meaning of the Scorpio Ascendant Virgo combination in your horoscope. Your Ascendant sign is Libra, which means that, at first glance, people feel the influence of Libra on your outward appearance. It may be different from your inner self, which defined by your Sun sign. Discover the meaning of the Scorpio Ascendant Libra combination in your horoscope. Your Ascendant sign is Scorpio, which means that, at first glance, people feel the influence of Scorpio on your outward appearance. Discover the meaning of the Scorpio Ascendant Scorpio combination in your horoscope. Your Ascendant sign is Sagittarius, which means that, at first glance, people feel the influence of Sagittarius on your outward appearance. It may be different from your inner self, which defined by your Sun sign. Discover the meaning of the Scorpio Ascendant Sagittarius combination in your horoscope. Your Ascendant sign is Capricorn, which means that, at first glance, people feel the influence of Capricorn on your outward appearance. It may be different from your inner self, which defined by your Sun sign. Discover the meaning of the Scorpio Ascendant Capricorn combination in your horoscope. Your Ascendant sign is Aquarius, which means that, at first glance, people feel the influence of Aquarius on your outward appearance. It may be different from your inner self, which defined by your Sun sign. Discover the meaning of the Scorpio Ascendant Aquarius combination in your horoscope. Your Ascendant sign is Pisces, which means that, at first glance, people feel the influence of Pisces on your outward appearance. It may be different from your inner self, which defined by your Sun sign. Discover the meaning of the Scorpio Ascendant Pisces combination in your horoscope. Your Sun sign is Sagittarius, which means that it is only when people know you well that your Sagittarius traits become obvious. They may be different from your outward appearance, which is influenced by your Ascendant sign. You will find below the meaning of the 12 Ascendants of Sagittarius. Your Ascendant sign is Aries, which means that, at first glance, people feel the influence of Aries on your outward appearance. It may be different from your inner self, which defined by your Sun sign. Discover the meaning of the Sagittarius Ascendant Aries combination in your horoscope. Your Ascendant sign is Taurus, which means that, at first glance, people feel the influence of Taurus on your outward appearance. It may be different from your inner self, which defined by your Sun sign. Discover the meaning of the Sagittarius Ascendant Taurus combination in your horoscope. Your Ascendant sign is Gemini, which means that, at first glance, people feel the influence of Gemini on your outward appearance. It may be different from your inner self, which defined by your Sun sign. Discover the meaning of the Sagittarius Ascendant Gemini combination in your horoscope. Your Ascendant sign is Cancer, which means that, at first glance, people feel the influence of Cancer on your outward appearance. It may be different from your inner self, which defined by your Sun sign. Discover the meaning of the Sagittarius Ascendant Cancer combination in your horoscope. Your Ascendant sign is Leo, which means that, at first glance, people feel the influence of Leo on your outward appearance. It may be different from your inner self, which defined by your Sun sign. Discover the meaning of the Sagittarius Ascendant Leo combination in your horoscope. Your Ascendant sign is Virgo, which means that, at first glance, people feel the influence of Virgo on your outward appearance. It may be different from your inner self, which defined by your Sun sign. Discover the meaning of the Sagittarius Ascendant Virgo combination in your horoscope. Your Ascendant sign is Libra, which means that, at first glance, people feel the influence of Libra on your outward appearance. It may be different from your inner self, which defined by your Sun sign. Discover the meaning of the Sagittarius Ascendant Libra combination in your horoscope. Your Ascendant sign is Scorpio, which means that, at first glance, people feel the influence of Scorpio on your outward appearance. It may be different from your inner self, which defined by your Sun sign. Discover the meaning of the Sagittarius Ascendant Scorpio combination in your horoscope. Your Ascendant sign is Sagittarius, which means that, at first glance, people feel the influence of Sagittarius on your outward appearance. 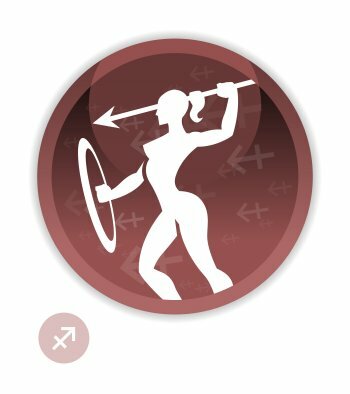 Discover the meaning of the Sagittarius Ascendant Sagittarius combination in your horoscope. Your Ascendant sign is Capricorn, which means that, at first glance, people feel the influence of Capricorn on your outward appearance. It may be different from your inner self, which defined by your Sun sign. Discover the meaning of the Sagittarius Ascendant Capricorn combination in your horoscope. Your Ascendant sign is Aquarius, which means that, at first glance, people feel the influence of Aquarius on your outward appearance. It may be different from your inner self, which defined by your Sun sign. Discover the meaning of the Sagittarius Ascendant Aquarius combination in your horoscope. Your Ascendant sign is Pisces, which means that, at first glance, people feel the influence of Pisces on your outward appearance. It may be different from your inner self, which defined by your Sun sign. Discover the meaning of the Sagittarius Ascendant Pisces combination in your horoscope. Your Sun sign is Capricorn, which means that it is only when people know you well that your Capricorn traits become obvious. They may be different from your outward appearance, which is influenced by your Ascendant sign. You will find below the meaning of the 12 Ascendants of Capricorn. Your Ascendant sign is Aries, which means that, at first glance, people feel the influence of Aries on your outward appearance. It may be different from your inner self, which defined by your Sun sign. Discover the meaning of the Capricorn Ascendant Aries combination in your horoscope. Your Ascendant sign is Taurus, which means that, at first glance, people feel the influence of Taurus on your outward appearance. It may be different from your inner self, which defined by your Sun sign. Discover the meaning of the Capricorn Ascendant Taurus combination in your horoscope. Your Ascendant sign is Gemini, which means that, at first glance, people feel the influence of Gemini on your outward appearance. It may be different from your inner self, which defined by your Sun sign. Discover the meaning of the Capricorn Ascendant Gemini combination in your horoscope. Your Ascendant sign is Cancer, which means that, at first glance, people feel the influence of Cancer on your outward appearance. It may be different from your inner self, which defined by your Sun sign. Discover the meaning of the Capricorn Ascendant Cancer combination in your horoscope. Your Ascendant sign is Leo, which means that, at first glance, people feel the influence of Leo on your outward appearance. It may be different from your inner self, which defined by your Sun sign. Discover the meaning of the Capricorn Ascendant Leo combination in your horoscope. Your Ascendant sign is Virgo, which means that, at first glance, people feel the influence of Virgo on your outward appearance. It may be different from your inner self, which defined by your Sun sign. Discover the meaning of the Capricorn Ascendant Virgo combination in your horoscope. Your Ascendant sign is Libra, which means that, at first glance, people feel the influence of Libra on your outward appearance. It may be different from your inner self, which defined by your Sun sign. Discover the meaning of the Capricorn Ascendant Libra combination in your horoscope. Your Ascendant sign is Scorpio, which means that, at first glance, people feel the influence of Scorpio on your outward appearance. It may be different from your inner self, which defined by your Sun sign. 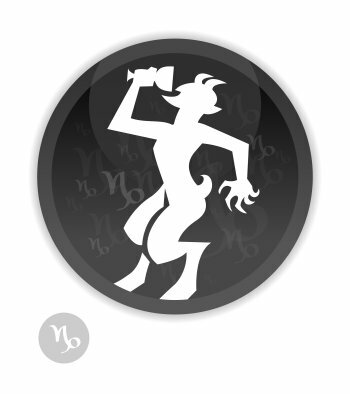 Discover the meaning of the Capricorn Ascendant Scorpio combination in your horoscope. Your Ascendant sign is Sagittarius, which means that, at first glance, people feel the influence of Sagittarius on your outward appearance. It may be different from your inner self, which defined by your Sun sign. Discover the meaning of the Capricorn Ascendant Sagittarius combination in your horoscope. Your Ascendant sign is Capricorn, which means that, at first glance, people feel the influence of Capricorn on your outward appearance. Discover the meaning of the Capricorn Ascendant Capricorn combination in your horoscope. Your Ascendant sign is Aquarius, which means that, at first glance, people feel the influence of Aquarius on your outward appearance. It may be different from your inner self, which defined by your Sun sign. Discover the meaning of the Capricorn Ascendant Aquarius combination in your horoscope. Your Ascendant sign is Pisces, which means that, at first glance, people feel the influence of Pisces on your outward appearance. It may be different from your inner self, which defined by your Sun sign. 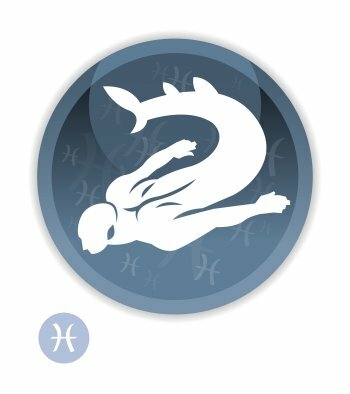 Discover the meaning of the Capricorn Ascendant Pisces combination in your horoscope. Your Sun sign is Aquarius, which means that it is only when people know you well that your Aquarius traits become obvious. They may be different from your outward appearance, which is influenced by your Ascendant sign. You will find below the meaning of the 12 Ascendants of Aquarius. Your Ascendant sign is Aries, which means that, at first glance, people feel the influence of Aries on your outward appearance. It may be different from your inner self, which defined by your Sun sign. Discover the meaning of the Aquarius Ascendant Aries combination in your horoscope. Your Ascendant sign is Taurus, which means that, at first glance, people feel the influence of Taurus on your outward appearance. It may be different from your inner self, which defined by your Sun sign. Discover the meaning of the Aquarius Ascendant Taurus combination in your horoscope. Your Ascendant sign is Gemini, which means that, at first glance, people feel the influence of Gemini on your outward appearance. It may be different from your inner self, which defined by your Sun sign. Discover the meaning of the Aquarius Ascendant Gemini combination in your horoscope. Your Ascendant sign is Cancer, which means that, at first glance, people feel the influence of Cancer on your outward appearance. It may be different from your inner self, which defined by your Sun sign. 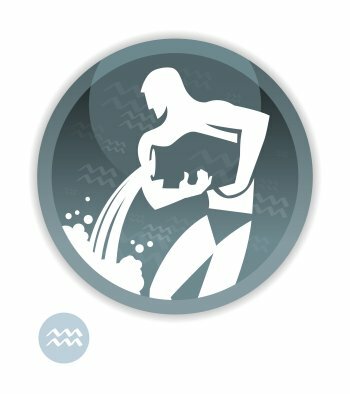 Discover the meaning of the Aquarius Ascendant Cancer combination in your horoscope. Your Ascendant sign is Leo, which means that, at first glance, people feel the influence of Leo on your outward appearance. It may be different from your inner self, which defined by your Sun sign. Discover the meaning of the Aquarius Ascendant Leo combination in your horoscope. Your Ascendant sign is Virgo, which means that, at first glance, people feel the influence of Virgo on your outward appearance. It may be different from your inner self, which defined by your Sun sign. 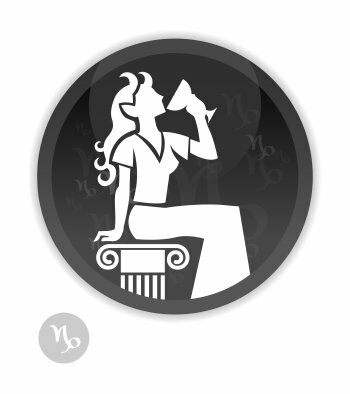 Discover the meaning of the Aquarius Ascendant Virgo combination in your horoscope. Your Ascendant sign is Libra, which means that, at first glance, people feel the influence of Libra on your outward appearance. It may be different from your inner self, which defined by your Sun sign. Discover the meaning of the Aquarius Ascendant Libra combination in your horoscope. Your Ascendant sign is Scorpio, which means that, at first glance, people feel the influence of Scorpio on your outward appearance. It may be different from your inner self, which defined by your Sun sign. Discover the meaning of the Aquarius Ascendant Scorpio combination in your horoscope. Your Ascendant sign is Sagittarius, which means that, at first glance, people feel the influence of Sagittarius on your outward appearance. It may be different from your inner self, which defined by your Sun sign. Discover the meaning of the Aquarius Ascendant Sagittarius combination in your horoscope. Your Ascendant sign is Capricorn, which means that, at first glance, people feel the influence of Capricorn on your outward appearance. It may be different from your inner self, which defined by your Sun sign. Discover the meaning of the Aquarius Ascendant Capricorn combination in your horoscope. Your Ascendant sign is Aquarius, which means that, at first glance, people feel the influence of Aquarius on your outward appearance. Discover the meaning of the Aquarius Ascendant Aquarius combination in your horoscope. Your Ascendant sign is Pisces, which means that, at first glance, people feel the influence of Pisces on your outward appearance. It may be different from your inner self, which defined by your Sun sign. Discover the meaning of the Aquarius Ascendant Pisces combination in your horoscope. Your Sun sign is Pïsces, which means that it is only when people know you well that your Pïsces traits become obvious. They may be different from your outward appearance, which is influenced by your Ascendant sign. You will find below the meaning of the 12 Ascendants of Pisces. Your Ascendant sign is Aries, which means that, at first glance, people feel the influence of Aries on your outward appearance. It may be different from your inner self, which defined by your Sun sign. Discover the meaning of the Pisces Ascendant Aries combination in your horoscope. Your Ascendant sign is Taurus, which means that, at first glance, people feel the influence of Taurus on your outward appearance. It may be different from your inner self, which defined by your Sun sign. Discover the meaning of the Pisces Ascendant Taurus combination in your horoscope. Your Ascendant sign is Gemini, which means that, at first glance, people feel the influence of Gemini on your outward appearance. It may be different from your inner self, which defined by your Sun sign. Discover the meaning of the Pisces Ascendant Gemini combination in your horoscope. Your Ascendant sign is Cancer, which means that, at first glance, people feel the influence of Cancer on your outward appearance. It may be different from your inner self, which defined by your Sun sign. Discover the meaning of the Pisces Ascendant Cancer combination in your horoscope. Your Ascendant sign is Leo, which means that, at first glance, people feel the influence of Leo on your outward appearance. It may be different from your inner self, which defined by your Sun sign. Discover the meaning of the Pisces Ascendant Leo combination in your horoscope. Your Ascendant sign is Virgo, which means that, at first glance, people feel the influence of Virgo on your outward appearance. It may be different from your inner self, which defined by your Sun sign. Discover the meaning of the Pisces Ascendant Virgo combination in your horoscope. Your Ascendant sign is Libra, which means that, at first glance, people feel the influence of Libra on your outward appearance. It may be different from your inner self, which defined by your Sun sign. Discover the meaning of the Pisces Ascendant Libra combination in your horoscope. Your Ascendant sign is Scorpio, which means that, at first glance, people feel the influence of Scorpio on your outward appearance. It may be different from your inner self, which defined by your Sun sign. Discover the meaning of the Pisces Ascendant Scorpio combination in your horoscope. Your Ascendant sign is Sagittarius, which means that, at first glance, people feel the influence of Sagittarius on your outward appearance. It may be different from your inner self, which defined by your Sun sign. Discover the meaning of the Pisces Ascendant Sagittarius combination in your horoscope. Your Ascendant sign is Capricorn, which means that, at first glance, people feel the influence of Capricorn on your outward appearance. It may be different from your inner self, which defined by your Sun sign. Discover the meaning of the Pisces Ascendant Capricorn combination in your horoscope. 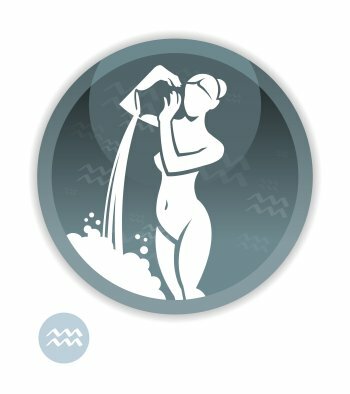 Your Ascendant sign is Aquarius, which means that, at first glance, people feel the influence of Aquarius on your outward appearance. It may be different from your inner self, which defined by your Sun sign. Discover the meaning of the Pisces Ascendant Aquarius combination in your horoscope. Your Ascendant sign is Pisces, which means that, at first glance, people feel the influence of Pisces on your outward appearance. Discover the meaning of the Pisces Ascendant Pisces combination in your horoscope.